This stunning piece of furniture is imported directly from Italy. 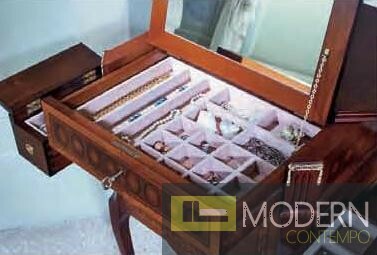 A jewelry case is an important addition to any closet or wardrobe area. This beautiful piece is constructed of walnut hardwood and given a clear veneer coating to preserve beauty and ensure durability. 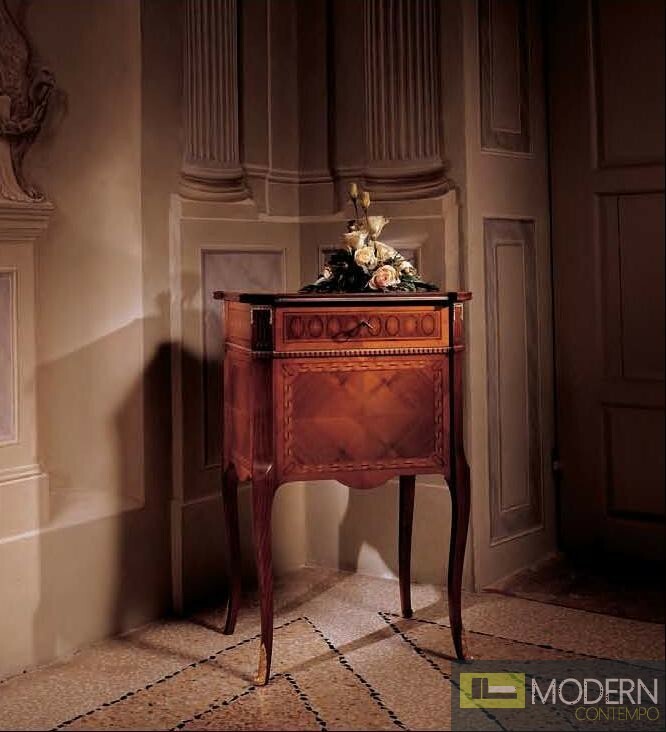 Throughout the piece is intricate wood carving, which adds to the European style of the unit. 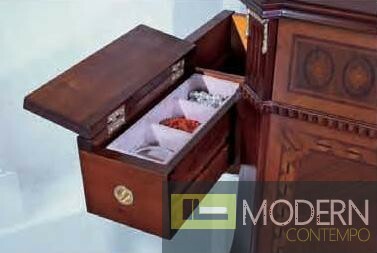 When the case is opened, storage compartments are revealed - perfect for organizing watches, rings, earrings, necklaces, and so on! W25.6" x D19.7" x H38.6"